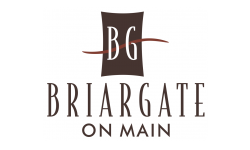 This has been a peaceful, beautiful place to live.submitted by Katelyn K. - Feb 24, 2017 |Recommended: YesI have much enjoyed living at Briargate on Main. It is relatively affordable and it is a beautiful, bright apartment. It is a safe place for my family and we enjoy having our pets. The only downside is we have a very aggressive upstairs neighbor that loves to bang on the floor at the slightest bark from our dog. Great place to live.submitted by James G. - Jan 31, 2017 |Recommended: YesStaff very helpful and accommodating. I think its a great community and is a very nice place to live.submitted by Dominic M. - Jan 30, 2017 |Recommended: YesI would say that its a very respectful place to live the community is very nice and polite and the staff admin and maintenance are timely and accommodating.